Top Five Fridges For 2019 - Which? Find the best home for your food with our round-up of the top five fridges tested by Which?. The sole purpose of a fridge is to keep your food in the best possible condition for the longest possible time. It doesn’t sound too difficult, but our pick of the top five and three worst fridges we’ve tested shows how much you stand to gain – or lose – when you buy a new fridge. The best fridges chill in lightning-quick time and will keep your food safely chilled, no matter what. The worst take can more than twice as long to cool, push up your energy bills and will potentially spoil your food when the temperature in your kitchen rises or falls. No matter what size or type of fridge you’re looking for, our tough chilling tests wheedle out the best from the rest. 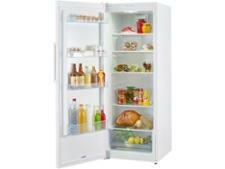 And as our best fridges below show, you don’t have to spend a fortune to get a great model. At Which? we aim to recommend the best products for you to buy. With this in mind, we continually monitor and vary the assessments that underpin our reviews, to take account of changing standards and areas of concern. Our tests have revealed that plastic backing can be highly flammable. We are therefore not recommending any refrigeration appliances that have flammable plastic backing. Keep reading for our round-up of the top five, or head to our fridge reviews to compare all the models we’ve tested. 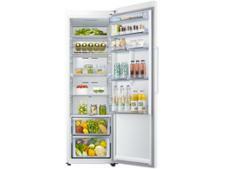 If you’re looking for a tall freestanding fridge, look no further than this fantastic model from Bosch. 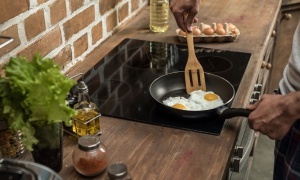 You can count on your food staying fresher for longer, thanks to the winning combination of rapid cooling and impressive temperature stability – come rain or shine. It’s also extremely efficient for its size, not to mention quiet and easy to use. What more could you want? If you’re looking for a tall cheap fridge, this is one of the best you can buy. 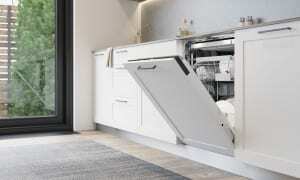 It provides a respectable 209 litres of usable space – enough for more than 10 supermarket carrier bags of shopping. And it chills quickly, too, helping to maximise the freshness of your food. The only flaw is that the recommended thermostat setting is unreliable, so you’ll need to experiment with the temperature settings when you unpack it. This small fridge may look expensive, but the rock-bottom running costs make it good value for money in the long run. It just misses out on being a Best Buy, because it chills quickly rather than rapidly, but this is still the best small freestanding fridge we’ve seen in years. It keeps the temperature exceptionally stable, and our tough tests show that it’s a great all-rounder. This small integrated fridge is reasonably-priced and excellent at it's main job of chilling food quickly. That means you can count on it to keep your food fresher for longer. 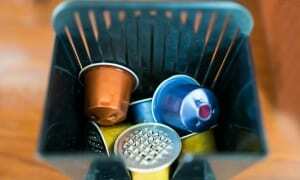 The only downsides are that it's not the most efficient or user-friendly fridge. You can rely on this built-in fridge to rapidly chill your food without pushing up your energy bills. And all without you having to adjust the thermostat away from the manufacturer’s recommended setting. It’s also one of the quietest fridges we’ve seen, so it’s a great bet if you want an integrated model for an open-plan living space and don’t want to be disturbed by the hum of the compressor. Read more on fridge safety. No one tests fridges as rigorously as us, and we’re completely independent, so when we recommend a product, you know there’s no hidden agenda. Fridges may seem like straightforward appliances, but measuring their capabilities in an objective way actually ranks as one of the most complex tests we do at Which?. Keeping food in the best possible condition is about more than the temperature inside the fridge – and in fact there are likely to be several degrees difference between the top and bottom shelves. It’s also about how fast the fridge can reach that temperature and whether it's affected when the temperature in your kitchen changes. 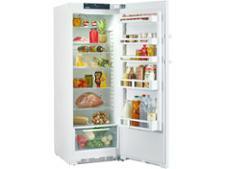 Every fridge we review is also tested for energy efficiency, noise and ease of use and cleaning. 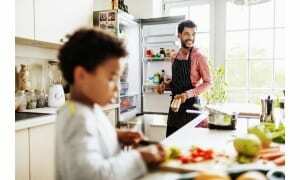 So, you know what the fridge will be like to live with day to day – and how much it will cost. Buy one of the best fridges to avoid making an expensive mistake.